Srinagar, Aug 18 (KNS): Employees Joint Action Committee Kupwara appeals Jammu and Kashmir Accounts Employees Association for postponement of their strike call. In a statement to KNS, the president EJAC Kupwara Mir Fayaz has made this request to Accounts Employees Association president in a meeting held under his chairmanship at Kupwara today. He said that EJAC always supports their demands which are genuine and require immediate attention. He requested the Governor of J&K N N Vohra for his intervene in the matter. However he appealed the Employees Association to defer the strike call in wake of Eid-ul Azha to be celebrated on August 22-23 so that the employees do return to their duties and the pay dues are released well before Eid. 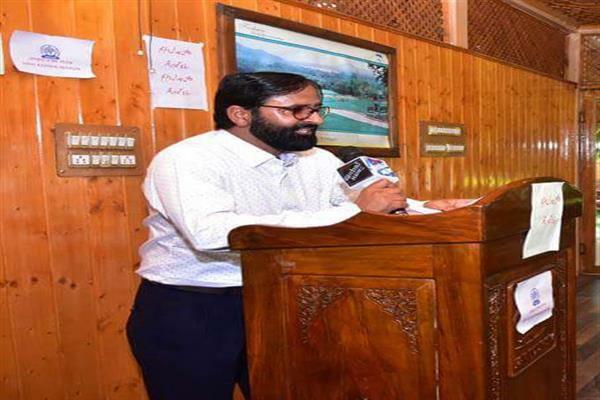 Meanwhile Mir Fayaz also appeal EJAC President A. Q. Wani for taking up the issues of Accounts Employees with concerned authorities so that their genuine demands are addressed.